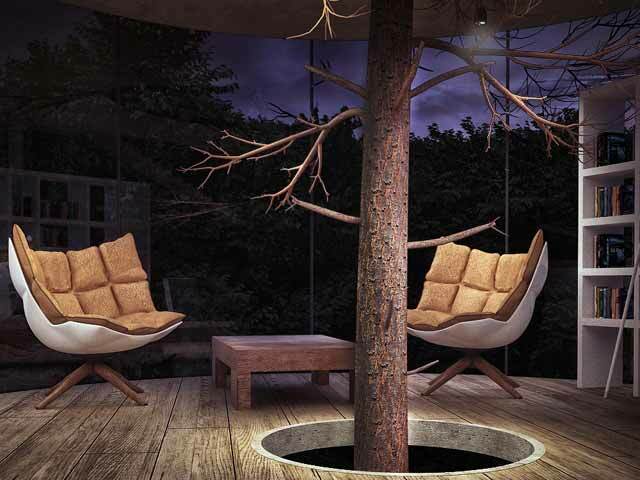 This unusual concept house, intended for a forest-loving couple who clearly have no privacy hang-ups, is the work of a young Kazak architect named Almasov Aibek of the A. Masow Design Studio. 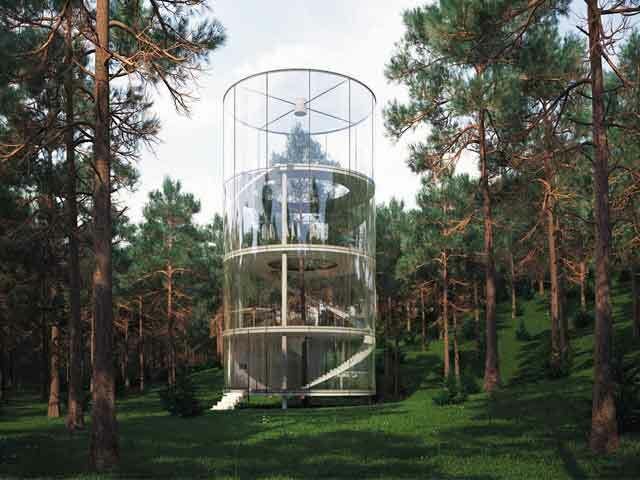 He intend to erect the cylindrical glass-walled house in a dense fir forest near the city of Almaty, Kazakhstan, for clients who will reportedly use it as a place for reflection and contemplation. 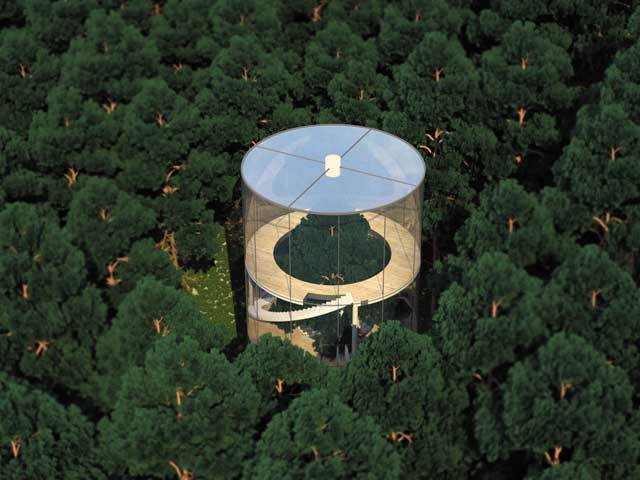 What makes this house different from anything else (that is, aside from its unusual shape and see-through walls) is the fact that it will full enclose a large fir tree. 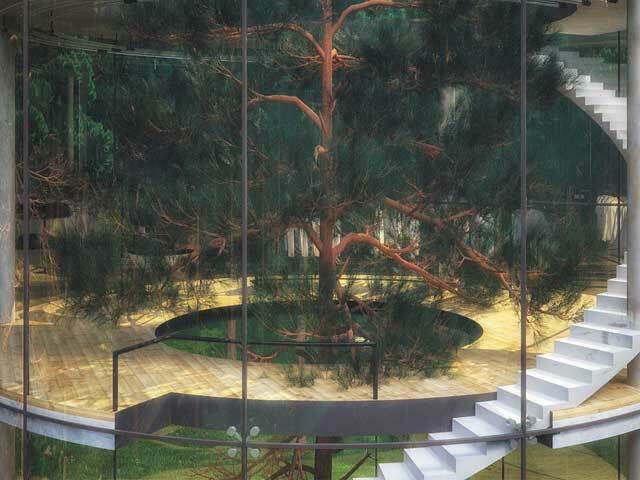 A minimalist white staircase winds its way from the floor to the glass roof through stacked tiers, providing the occupants with an unobstructed view of Nature from anywhere in the house.